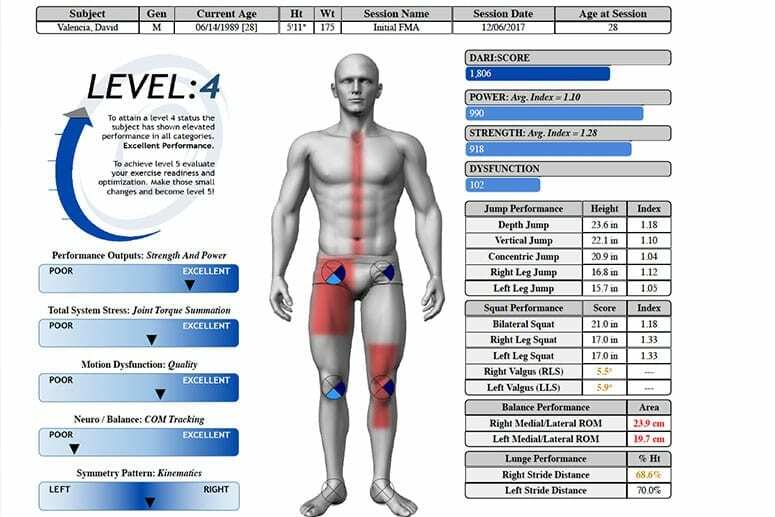 Our DARI software creates a certified report within minutes of completing your movement assessment. The report locates and targets muscle weakness, asymmetries, injury risk, and areas of power production. Asymmetries are the greatest risk for injury. The 7 page all inclusive DARI report measures asymmetries down to the decimal to insure health and effective rehabilitation.